PAWS is not some cute AA acronym that stands for something like Please Act Wisely Sober; PAWS is actually a diagnostic term for a set of symptoms called Post Acute Withdrawal Syndrome that can occur for a long time after you put down the alcohol or other addictive drugs. Research has suggested that up to 95% of recovering alcoholics and addicts when tested show the presence of brain dysfunction. Essentially, that is PAWS – symptoms from a dysfunction in the nervous system after quitting booze and drugs. Not to be confused with Wet Brain Syndrome, PAWS is a temporary condition. Do not panic, this too shall pass! However, you can take positive action to help get through it faster and with more ease! When you first detox off alcohol and/or drugs, acute withdrawal is experienced. After a week or two of continuous abstinence from alcohol and drugs, Post Acute Withdrawal Syndrome may be experienced and can last for 3 months to 2 years into sobriety. For most people, PAWS is regenerative - meaning over time and with proper care the symptoms will diminish and damage can be repaired. Symptoms of PAWS can include difficulty solving simple problems, reacting either overemotionally or having emotional numbness, sleep disturbances, memory problems, inability to think clearly at times, difficulty managing stress, and sometimes problems with physical coordination may present as well. The cognitive symptoms can lead to diminished self-esteem as well. Note, not all of these symptoms may occur and each does not happen constantly but rather periodically. The severity and length of occurrence of PAWS varies individually; it does not look the same for everyone. Damage to nervous system from the alcohol and/or drugs causes the physiological nature of PAWS, in combination with the other component of PAWS which is the emotional stress of having to deal with life without the old coping mechanism of drugs or alcohol. How much brain dysfunction your addiction has caused + how much psychosocial stress you experience in sobriety = the severity of PAWS. With proper care, it can be reversed. “… and courage to change the things I can.” This is one of those things you can take positive action to help get through it more rapidly and in a healthier manner. PAWS causes symptoms that are not particularly conducive to your sobriety. In fact, recent research supports the belief that PAWS can contribute to incidents of relapse. As part of a relapse prevention strategy, it is important to address the physical aspects of your alcoholism which includes taking proactive steps to treat PAWS. Your first couple years sober are difficult enough without the added challenges of PAWS symptoms like sleep disturbances and trouble thinking clearly. Education is always a good start (Education leads to proper Action which leads to Results!). Getting a better understanding about PAWS can ease some of the anxiety and confusion, and help prevent self-esteem problems that can result in the absence of such awareness. Next, find healthy ways to manage your stress. Stress can be caused by PAWS and also stress exacerbates the symptoms of PAWS so stress management is key. Working the 12 steps with a sponsor is not only the best method for relapse prevention in general, but also a great component to stress management. Meditation is highly recommended. Find what works for you, it can be as simple as setting time for deep breathing daily. Specific nutritional recommendations can really give you the edge on managing stress as well. Last but not least, get educated about ways to improve your physical health most specifically in terms of your nervous system. 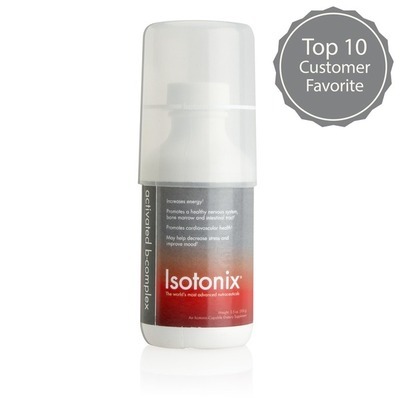 If you do just one thing physically to support your nervous system, supplement with a high quality B vitamin Complex. Bill Wilson, A.A. founder, was a big proponent of supplementing with B vitamins to support recovery! You are not powerless against PAWS. Post Acute Withdrawal Syndrome can be treated by applying the recommended actions listed above, and you can enjoy a long healthier life sober! Very interesting - I didn't know about this when I got sober. Just as well, because I'm sure I would have thought I had it, which maybe I did! But no more - 18+ years in, still getting better and still learning about myself, alcoholism in general, and mine in particular. This is a really good blog! Yes, there is always still SO much to learn. I love researching these topics, keeps it all fresh! Glad you are here.